If you’re a workout fanatic like me you know that pedicures and foot cremes are absolute musts for keeping your feet smooth. Combine working out with walking in high heels and the cool winter weather, all of this can really take a toll on your precious feet. Lately I’ve been buying a lot of Burt’s Bees products because they’re cruelty-free but also because you can find the product line at almost any drugstore. And since I wanted to give myself an at home pedicure I decided to pick up some new foot creme to pamper my tootsies with. 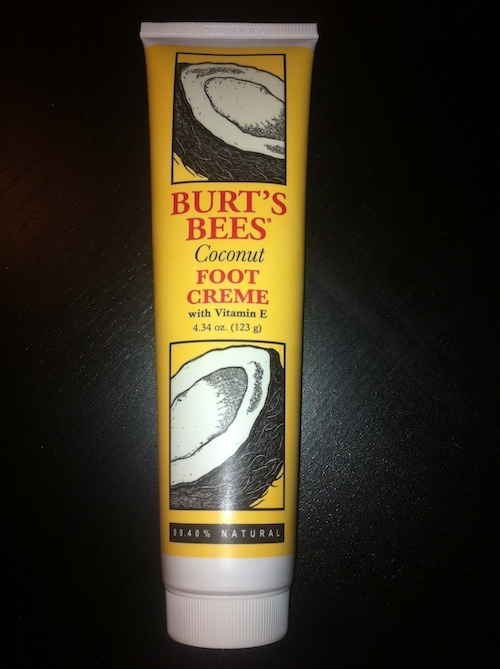 I decided to try Burt’s Bees Coconut Foot Creme with Vitamin E because I really love the smell of coconut plus it’s a wonderful moisturizer for dry skin. I tried the creme right after my shower in lieu of my normal lotion and put cotton socks on. The creme has light minty scent but not really much of a coconut scent – which is what I was really hoping for because I love the scent of coconut! The consistency of the creme is a lot closer to an ointment than a cream. 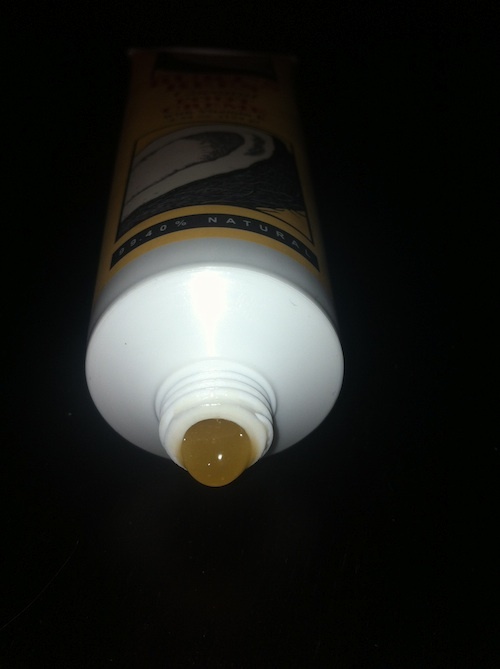 However it smoothes on incredibly well and is super hydrating. If you like massaging your feet I’d recommend this creme because it’s not as slippery as an oil but it still gives your feet an intense moisturizing effect. Apply liberally and allow the cream to fully absorb. For a luxurious way to treat your feet, soak feet in warm water for 10-15 minutes and rub gently with a pumice stone. Massage Coconut Foot Creme into feet, paying close attention to heels and calloused skin. Then cover your feet with cotton socks overnight to soothe and seal in moisture. This foot creme is 99.4% natural and contains Vegetable glycerin, olive oil, oat flour, lanolin, coconut oil, quillaja extract, oat oil, rosemary leaf oil, vitamin E and fragrance. The only ingredient that I don’t recognize is “fragrance” which could mean a thousand different things. The main ingredient is vegetable glycerin which is usually made from coconut or palm oil, although I’m not sure in this case as it doesn’t specify on the packaging. Vegetable glycerin is used to treat many skin problems like psoriasis, rashes and burns. The creme also contains olive oil which has antioxidants, like Vitamins A and E that help repair and renew skin. And since these are the first two ingredients on the package you know that those ingredients used in the greatest amount. Overall I loved the foot creme since it left my feet so much softer the morning after my first use. I only wish that the foot creme had more of a coconut or tropical scent. This is an item that I would buy again because it’s natural, cruelty-free and it just plain works! When you’ve been out in the biting cold, aside from a hot shower, nothing feels as soothing as a treatment mask. Winter tends to dehydrate both oily and dry skin, predisposing the former to imbalance-related breakouts and compounding tightness or overall dryness in the latter. Being a treatment product (and not sitting on skin for super-extended periods like your moisturizer or foundation), your mask options are a bit more flexible. Here are five that will restore at least a bit of your skin’s summer suppleness. 1.) Eve Lom Rescue Mask: This British import from cult brand Eve Lom only hit stateside a few years back, and the facials are stuff of legend. (I was lucky to experience one back in 2008, and it seriously lived up to the hype.) The product is uber-creamy, and like the equally nourishing cleanser, leaves skin impeccably soft and smooth, even in the presence of arctic-blast temperatures. 2.) Dr. Hauschka Rejuvenating Mask: Dr. Hauschka is a bit of a polarizing brand, but something about chilly weather really brings out my love for crunchy, earthy products. Hauschka’s health food store vibe just feels like skin cuisine, and the products feel unrefined in a good way, like it could have been whipped up in the blender. Wheat Germ Oil and Quince Seed Extract are high up on the ingredients list, along with a slew of natural oils to replace moisture sapped by indoor heat and outdoor winds. 3.) Fresh Rose Mask: Fresh is another line that feels… well, Fresh. The products smell like fancy personified, and Fresh Rose Mask is no exception. The shiny, deep caramel-hued formulation contains Rosa Damascena Flower Water as the top ingredient, with Rose Hip Oil (a fantastic dry oil that’s full of vitamins) and Jojoba Seed Oil not too far behind. The 100ml container should last until the first crocuses make their appearances. 4.) 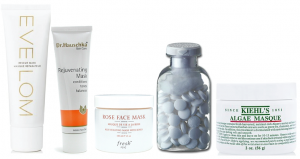 Aspirin and Honey Masks: With a bevy of spa professional items at my disposal as a facialist, I spent one winter using these two masks almost exclusively on clients. Honey masks are sticky- I used a bulk powder and a brush- but this may just be the first treatment product used by humans, and honey is an amazing natural humectant. Aspirin masks are beneficial for all skin types- soothing irritation, exfoliating, and balancing both oily and dry skin. If you’re uninitiated, dissolving 4-6 tabs of uncoated aspirin and re-moisturizing the dry mask after 10-15 minutes creates a natural if slightly messy scrub. 5.) Kiehl’s Algae Mask: Seaweed is one of the most popular treatment ingredients, due to a super-high concentration of vitamins and minerals. This mask also contains Chamomile to soothe, as well as Calendula and antioxidant-heavy green tea. Do you have a cold weather treatment routine? What’s your favorite elixir for winter dryness? Manufacturer ‘s Description: What is Collagen? An essential factor in the strength and elasticity of skin, collagen constitutes over 90% of deeper dermal layers and is responsible for keeping skin firm and hydrated resulting in smoother facial contours. 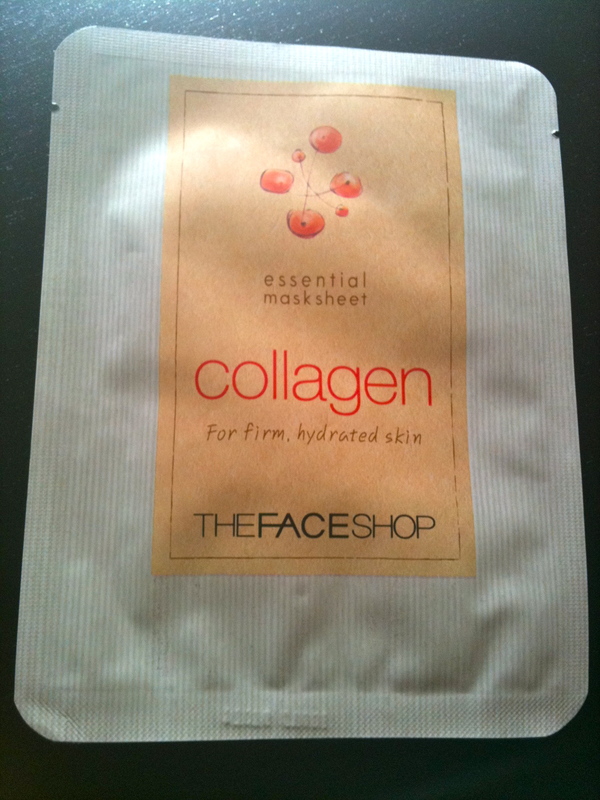 The concentrations of Collagen in this gentle mask sheet are effectively absorbed into skin to leave it firm and hydrated. THEFACESHOP mask is an individually packaged and single use cotton soaked mask that form fits to your face. When I opened the package the mask was dripping wet (almost too wet). I applied the mask to my face and I had hoped that during the 15 minute waiting period that it dry out a bit but it didn’t. The liquid from the mask ran down my face so I had to put a towel around my neck to prevent the drip from falling onto my clothes. After the waiting period I removed the mask and gently dabbed my face dry as directed. My skin was soft but slightly filmy, almost like it needed to be washed again. Overall there was no significant result that I can mention and the treatment was a bit messy so I won’t use it again. The mask was gentle enough for my sensitive skin so there was no issue with irritation but the results were less than stellar. The mask may be beneficial for those that have extremely dry skin but for me there was little improvement.